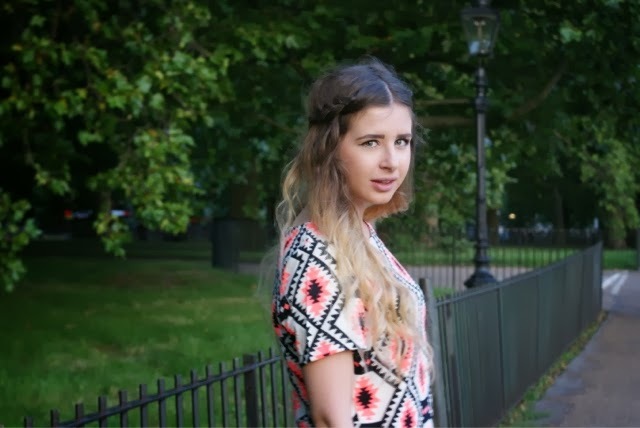 I could make a million excuses about why I haven't blogged in so long (over 3 weeks!) but the truth is, life has just got in the way. I have a pretty busy life and between interning, LFW, working and being ill, I just haven't had the time. But I'm back - I promise. 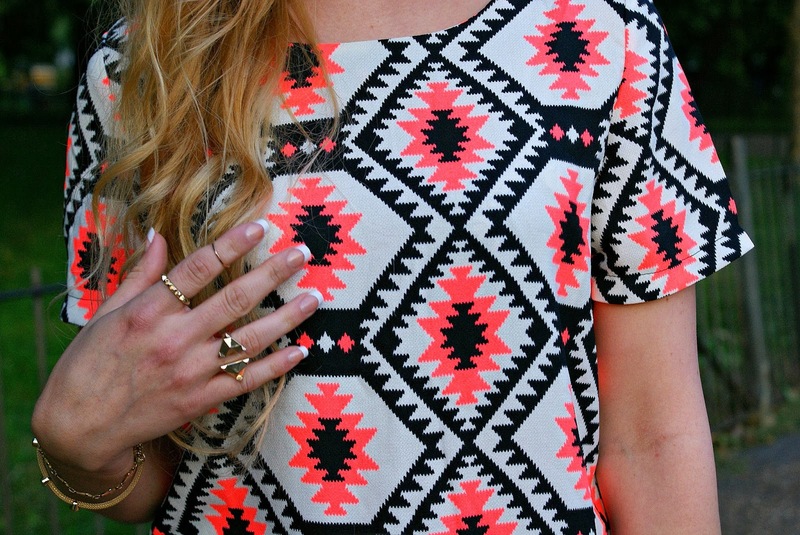 I'm a big fan of this neon aztec shift dress from Coco Boo Loves. We all know I love a good aztec print and the style and vibrant colours of the dress make it the perfect day-to-night outfit. I've paired the dress with my trusty chunky boots and black leather backpack for a evening stroll through Hyde Park. Its been my birthday over the weekend, the big 2-0! I'm a little gutted about not being a teenager anymore but I guess I had to grow up at some point! I've spent my time exploring London with my family, visiting Hampton Court Palace and doing a spot of shopping - lovely! 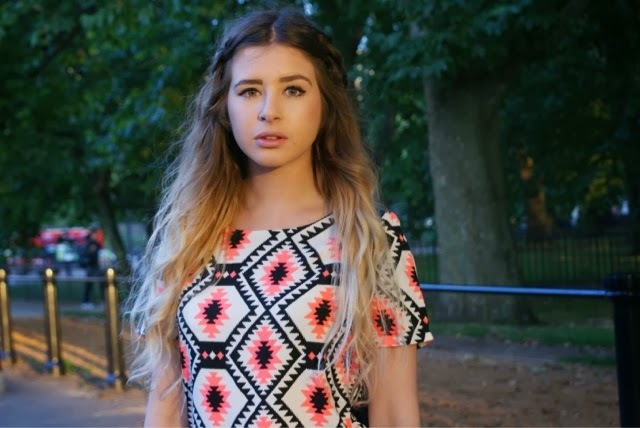 Love that dress - such a striking print. That dress really suits you, especially with the gorgeous shoes! Gorgeous photos too! I don't normally like aztec print much, but this is beautiful. I love the colour pop! Absolutely love the pattern of this dress Monica! Gorgeous outfit! At first when I saw your post I didn't like this dress, but when I saw it for the second time I absolutely shared your opinion! The dress is very unique and stunning, especially when worn with black accessories. Very cute! ❤ I read on your blog that you're studying in London College of Fashion, could you please answer me if you like it and how hard was it to enroll? It's my dream to study there so I'm really interested!